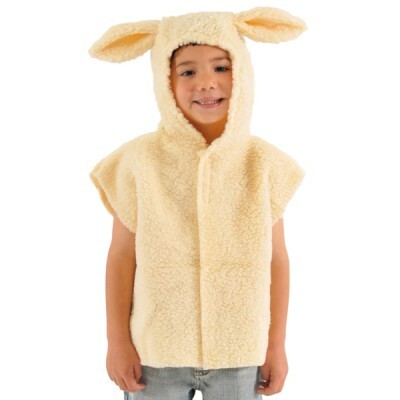 This fantastic white sheep costume is great for nativity plays at Christmas, counting sheep - or having fun all year round! The white fluffy material is made into a tabard with a hood and tail attached - and a pair of pretty ears on top too! The tabard is fixed using some easy and simple Velcro. One size fits all – 3-8 years 128 cm 50"